EA have released a teaser image and website for their latest upcoming Star Wars title, Star Wars Fallen Jedi Order. It was already known that a new Star Wars game was in the works from Respawn Entertainment, but until now no firm details have ever been confirmed. The teaser image, released on the official EA Star Wars Twitter account, shows an image of what appears to be a broken Lightsaber, along with the words ‘Don’t Stand Out’. Both of these seem to indicate that the game will revolve around an order of Jedi who at some point stood out from the rest, but were either taken down or disbanded for reasons that are, as of now, unclear. The game’s official website contains further details about the game. It says that the story follows a Padawan that survived the events towards the end of Star Wars: Episode 3 – Revenge of the Sith. The site also says that the game will release in the Holiday Season 2019, and has a newsletter for fans to sign up for if they wish to learn more when information is first revealed. EA’s latest Star Wars titles have been Star Wars Battlefront, and Star Wars Battlefront 2, both of which are multiplayer focused games. While Star Wars Battlefront 2 did contain a story campaign, the game’s main focus is the multiplayer element, which is what the Battlefront games are known for. 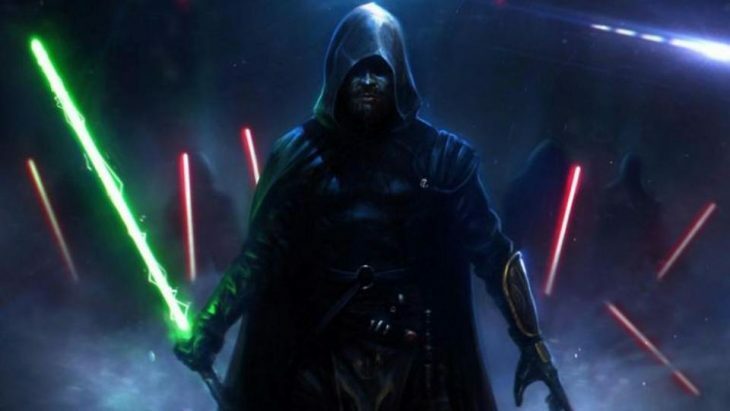 A Star Wars celebration is planned for the 13th of April 2019, which will also host a full reveal of Star Wars Fallen Jedi Order at the event in Chicago. The reveal is likely to show either a cinematic trailer for the game, in-engine gameplay, or a combination of both. The last core single player Star Wars title that was reported to be in the works with EA, developed by the now disbanded Visceral Games, was Star Wars 1313. The game painted a much grittier image of the Star Wars universe, but amid troubles with the studio was ultimately cancelled. Star Wars Fallen Jedi Order takes place in an interesting period in the Star Wars timeline. Jedi are being hunted down in accordance with Order 66, and many have already been killed. In the cinematic storyline the gap between Star Wars Episode 3 – Revenge of the Sith, and Star Wars Episode 4 – A New Hope, has only been explored by Rogue One: A Star Wars Story. However, this movie didn’t go into any detail about what was happening with the Jedi at this time, and is set much closer to Episode 4 than Episode 3. Many fans of the franchise will be excited to see where Respawn Entertainment take the Star Wars story during this crucial time period. Many more will be eager to see how the developer of the incredibly successful Apex Legends handles a core Star Wars title.